K Will | It's Conspiracy! Performance lineup for KBS Gayo Festival revealed! The performance lineup for upcoming KBS Gayo Festival to take place on 30th December has been revealed! This year, we have some special stages lined up including couple dance stage bySon DamBi and Park Jin Young, and also special appearance from the 2Days1Night team. Go under the cut to find out. Upcoming 19th High1 Seoul Music Awards nominee list revealed! 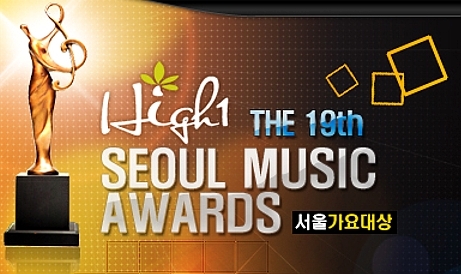 The nominee list for upcoming 19th High1 Seoul Music Awards 2010 has been revealed! Said to be one of the Korean popular music award ceremonies established by Sports Seoul in the 1990s which contributed to many other award ceremonies later on, the 19th Seoul Music Awards awarding the best singers of year 2009 will be held on 3rd February 2010. Nominee list under the cut. Today on SBS Inkigayo, After School won Mutizen with ‘Because Of You’, their first #1 on music show! Congratulations! Well deserved award. [Sum Up] Melon Music Awards 2009 – So Nyeo Shi Dae the big winner! The 2009 Melon Music Awards took place on 16th December Seoul Olympic Hall. It saw the participation of many singers, and many awards were given out tonight, including the top 10 awards. And group So Nyeo Shi Dae is the big winner tonight winning 6 awards in total including Artiste and Song Of The Years! Go under the cut for the sum up of the event and the winners list!